The speaker repair kit was super easy to use and my old Beemer sounds great again. 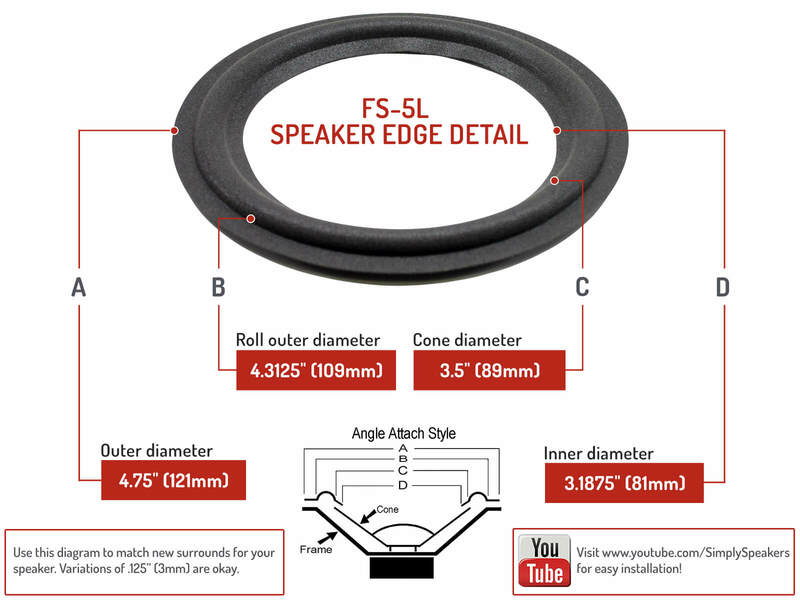 In addition to a good product, the folks at Simply Speakers are top notch. I ordered the wrong size foams (needed 5 1/4", ordered the 5") They exchanged them, no questions, no extra cost. I've got 8 more speakers to look at, I know I'll be back to Simply Speakers. Thanks! 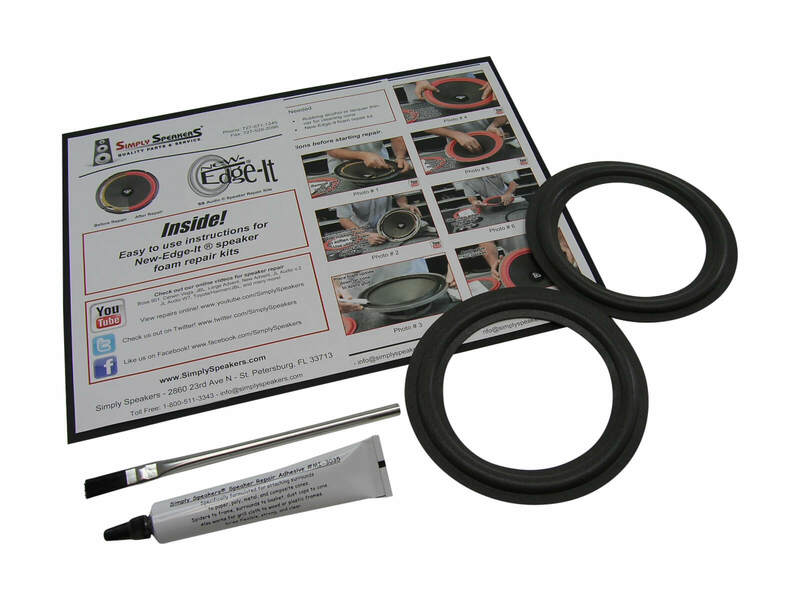 Great speaker repair kit for the BMW Z3 subwoofer. Easy to follow instructions and turned out beautifully! It was nice not to have to throw away a perfectly working piece of equipment just because the edge foam deteriorated. Thank you! Repair of the subwoofer in my BMW Z3 was easy with this kit. Everything I needed was included. I had a couple of problems spreading the glue neatly and the speaker didn't end up looking as clean as I would have liked, but it worked perfectly as promised. I will do it again if I have other speakers needing repaired. Ordered this repair kit and was pleasantly surprised with the quality of the foam! Straightforward installation after watching the videos… So good in fact once I install them I decided to redo my front speakers even though they really don't seem to need it !!! Repair kit worked great. Was not going to be able to find a replacement for this small subwoofer so repairing the original was my easiest and cheapest way out. Very happy. Used the 5in repair kit to fix the factory subwoofer in my wife's Z3 and couldn't be happier. Replacement speaker was pretty expensive. This gave me the ability to fix it myself for far far less. I lived without a "subwoofer" in my Z3 for 18 years. The subwoofer is actually a 5 1/2" speaker in an enclosure that helps boost bass a little. The speaker foam had deteriorated somewhat when I purchased the car when it was 2 years old. Someone had already tried to repair the foam with weatherstrip adhesive. I tried to do the same, but the foam was too far gone. I removed the speaker from the enclosure behind the seats and stored it for 18 years. Then I saw an ad for Simply Speakers in the BMW Car Club monthly magazine, Roundel. I contacted the company, they explained what I needed, and I ordered the repair kit. It was delivered very quickly. Instructions were spot on, the installation was easy, and the results are amazing. I now have the stereo system my little car was designed to have. BMW: 65.13-8 386 456 (PHILLIPS) (2001 Z3 Woofer only), 65.13-8 352 689.9 (BMW 740), 65.13-8 378 556 (BMW 323ci, 325ci rear), 9022 754 92722, and many more!